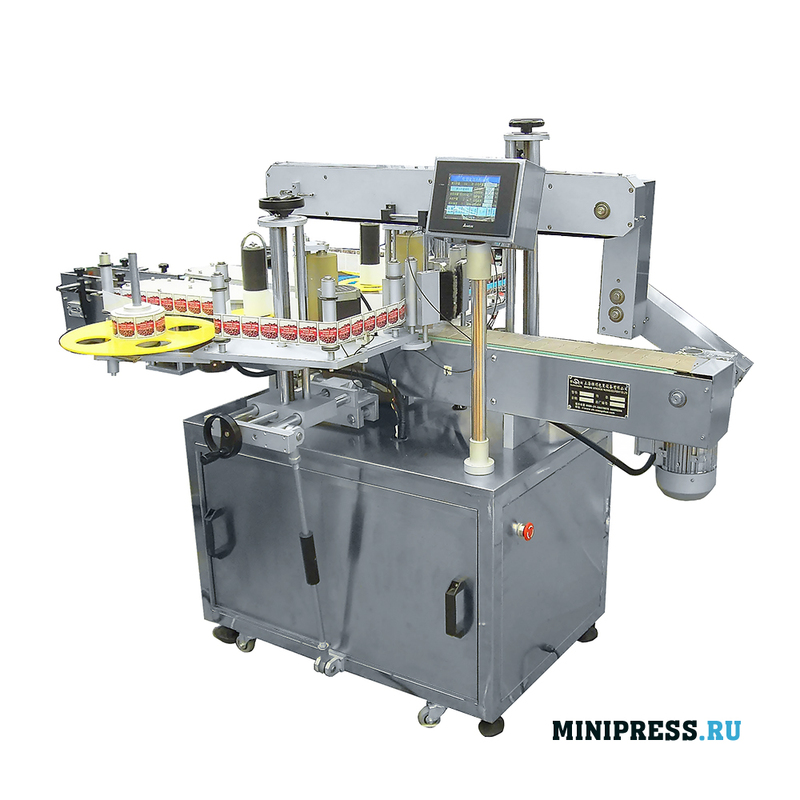 Каталог / Packaging Equipment / Archive by Category "Labeling machines"
Desktop semi-automatic machine for gluing self-adhesive labels on empty plastic tubes. 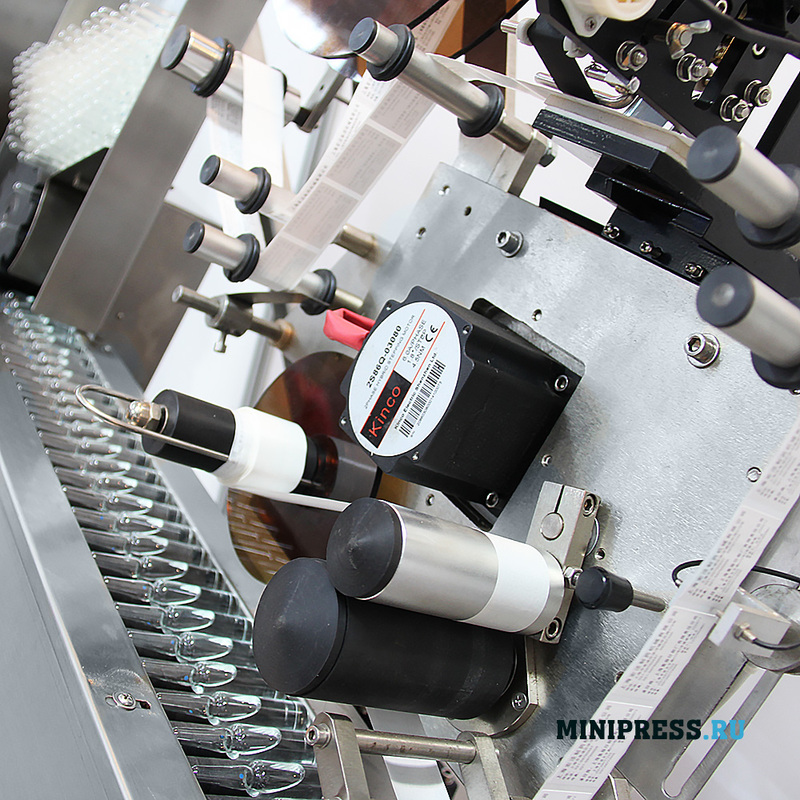 The productivity is 15-25 tubes per minute. 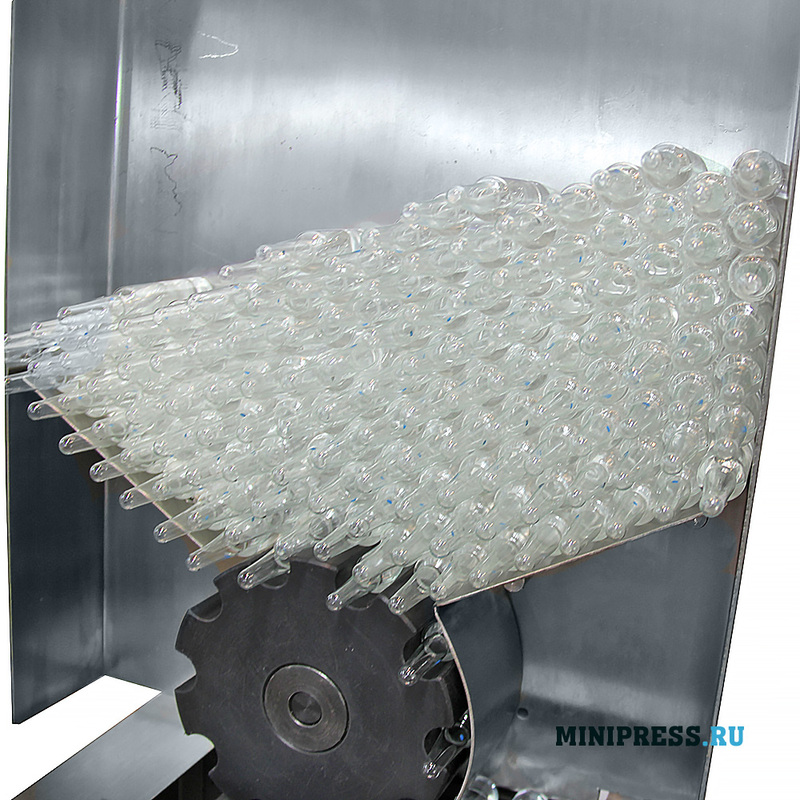 Suitable only for cylindrical plastic tubes with a diameter of 10 to 100 mm in cosmetic, pharmaceutical industries. 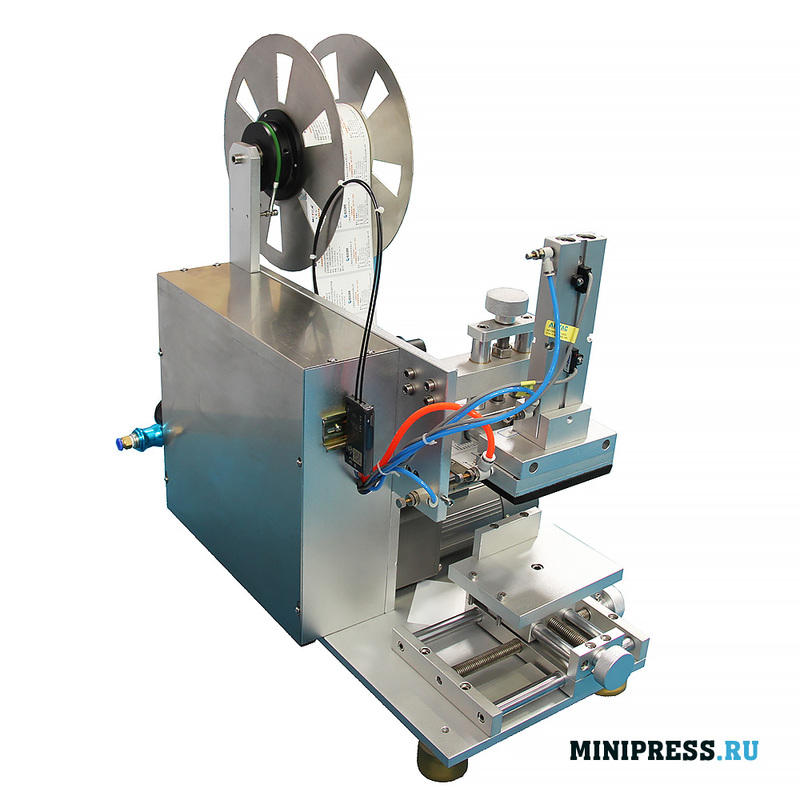 We provide a full range of services: installation, training, start-up, repair. 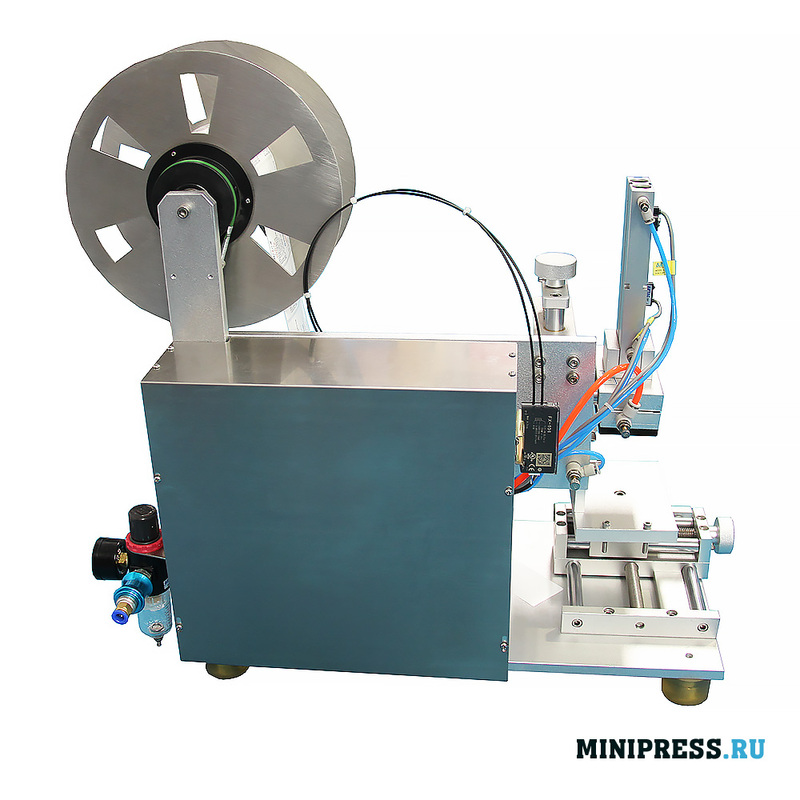 Simple mechanical design. 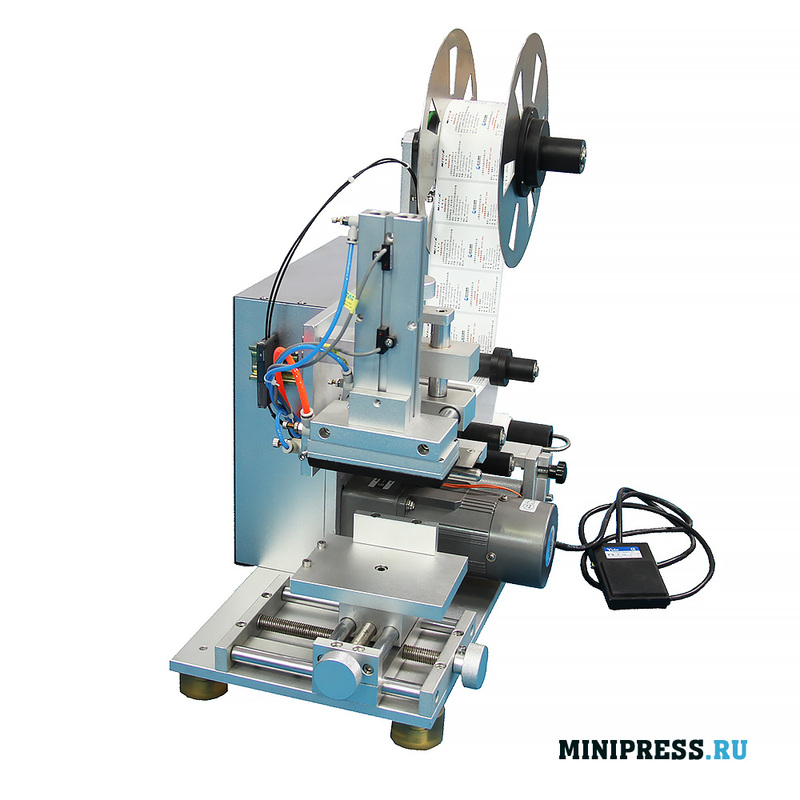 Instruction for use in English and Russian. 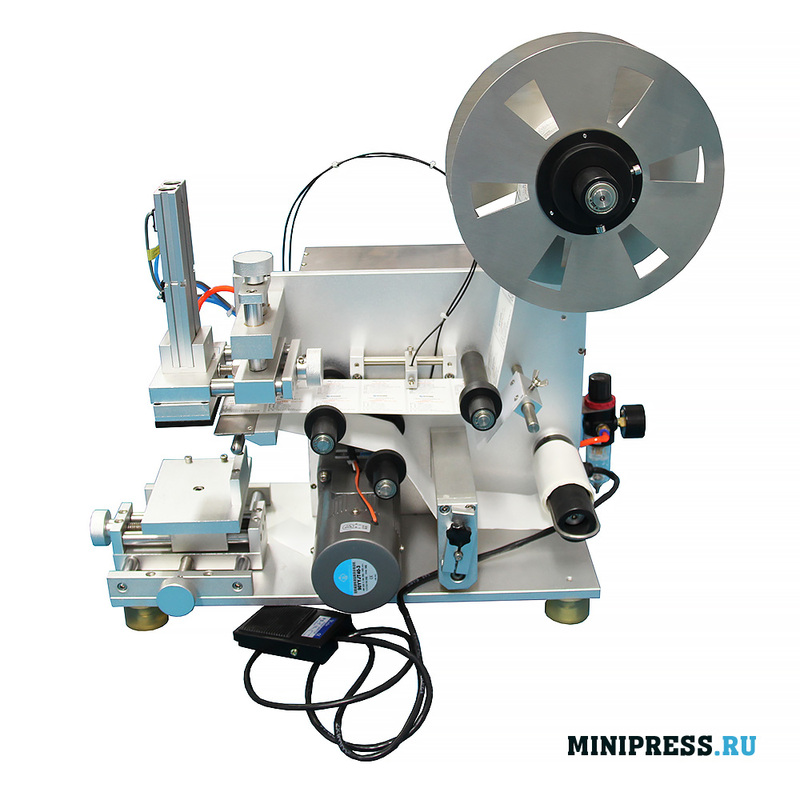 Desktop automatic labeling machine for gluing self-adhesive labels onto cardboard boxes. 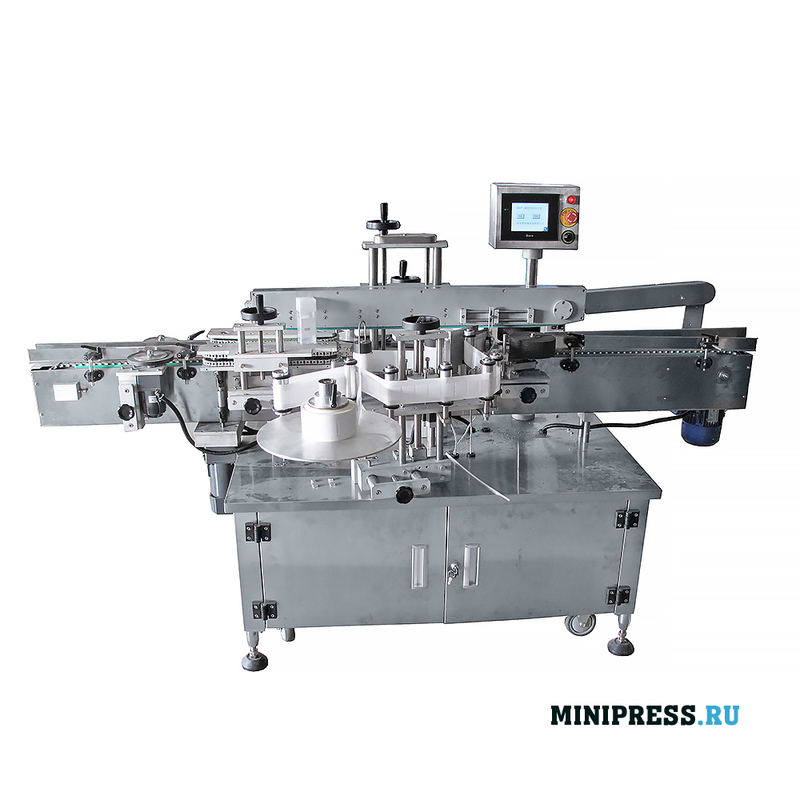 It is used for pharmaceutical, cosmetic and medical products, packed in cardboard packaging. 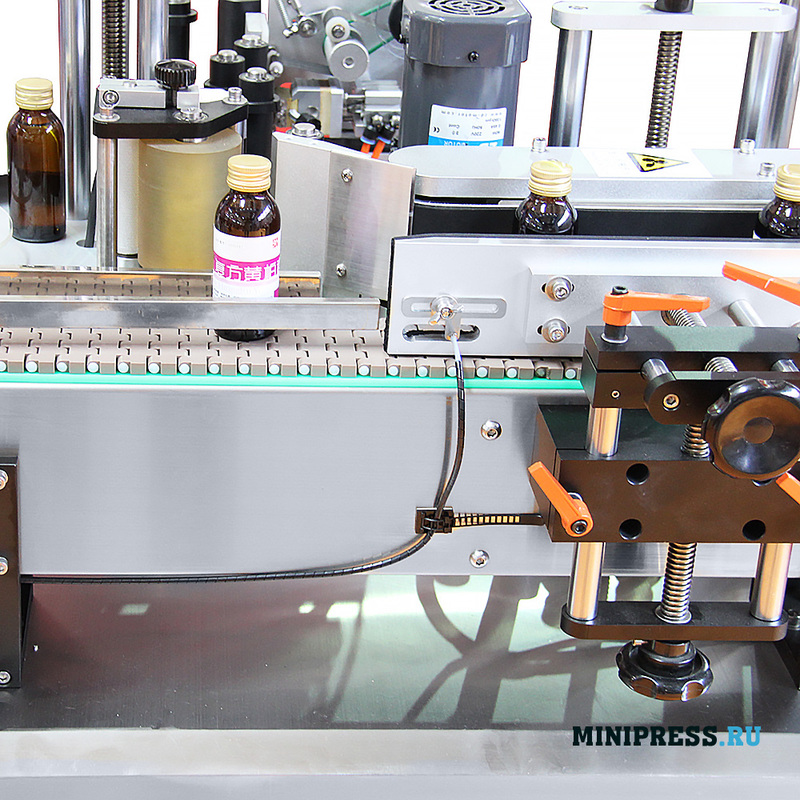 The label is vertical. 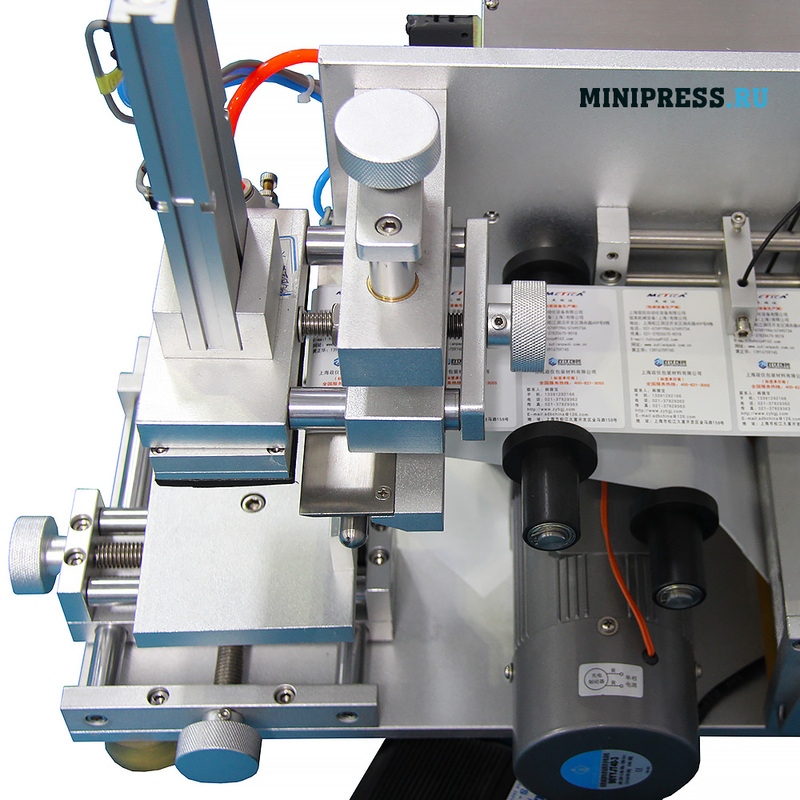 The productivity of 1200-2400 labels per hour. 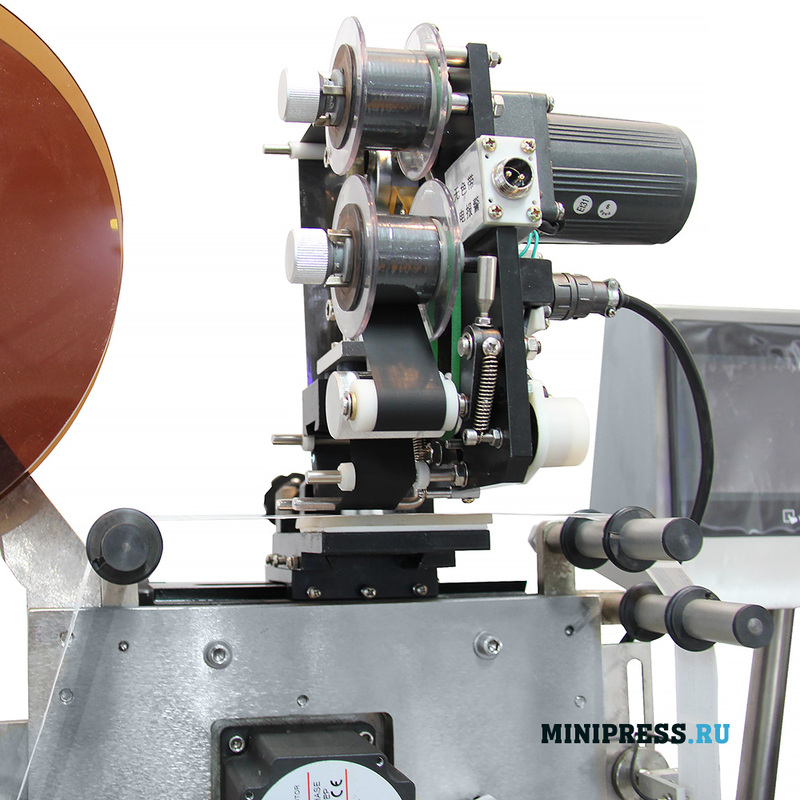 We provide a full range of services: installation, training, start-up, repair. 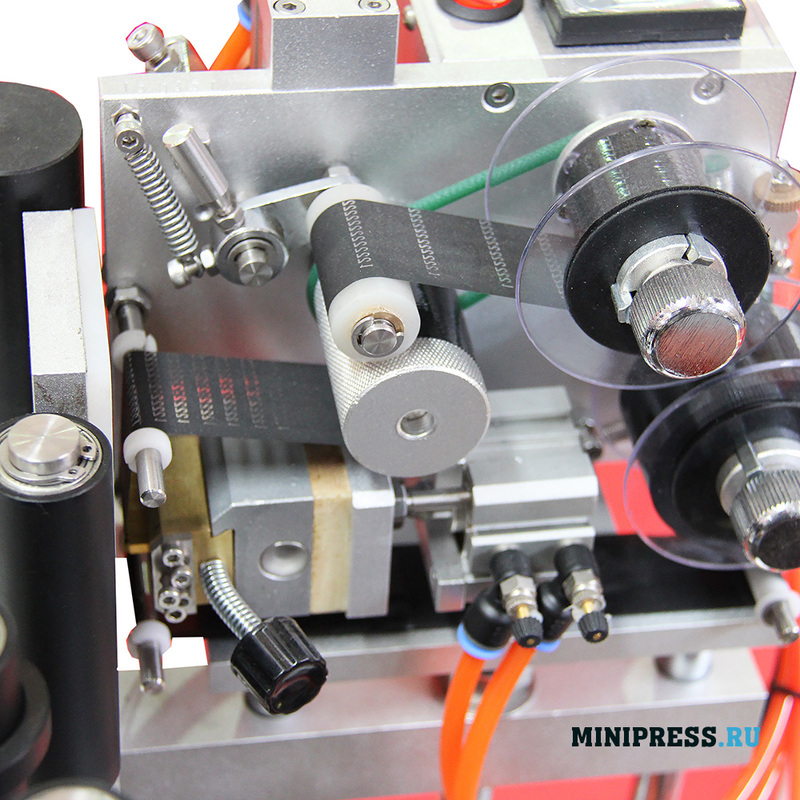 Simple mechanical design. Instruction for use in English and Russian. 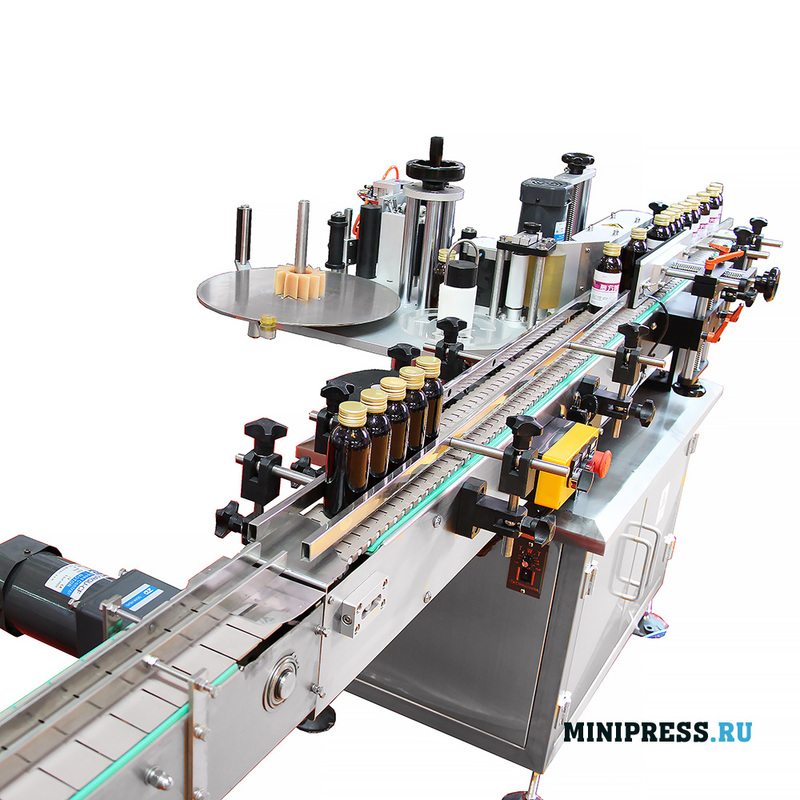 Labeling machine is designed for single-sided labeling on glass bottles, bottles for installation in the line of filling syrups, tinctures, liquids in glass bottles. 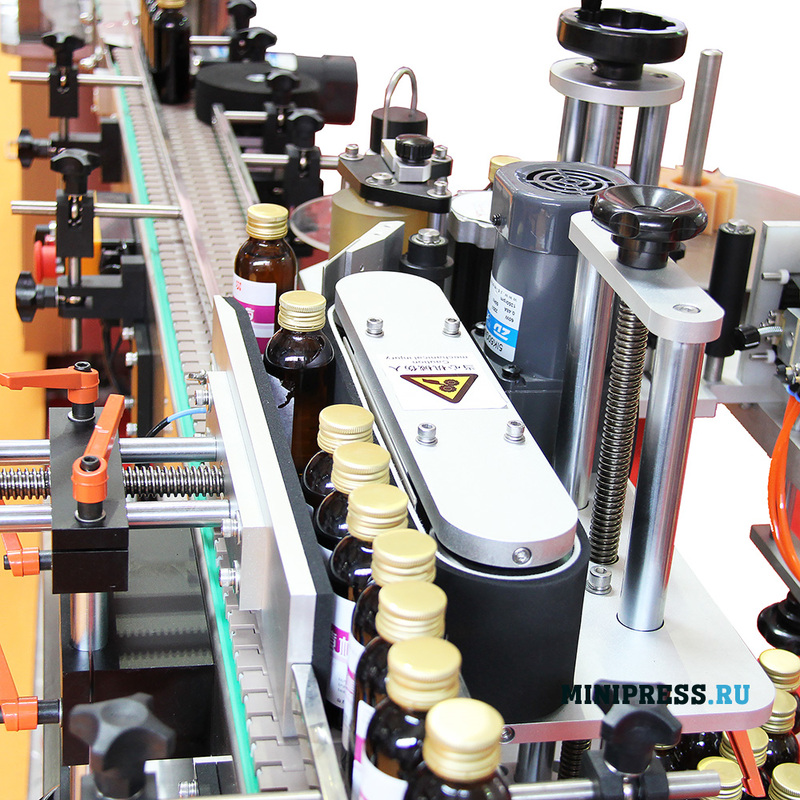 Automatic labeling machine for self-adhesive labeling bottles and bottles. 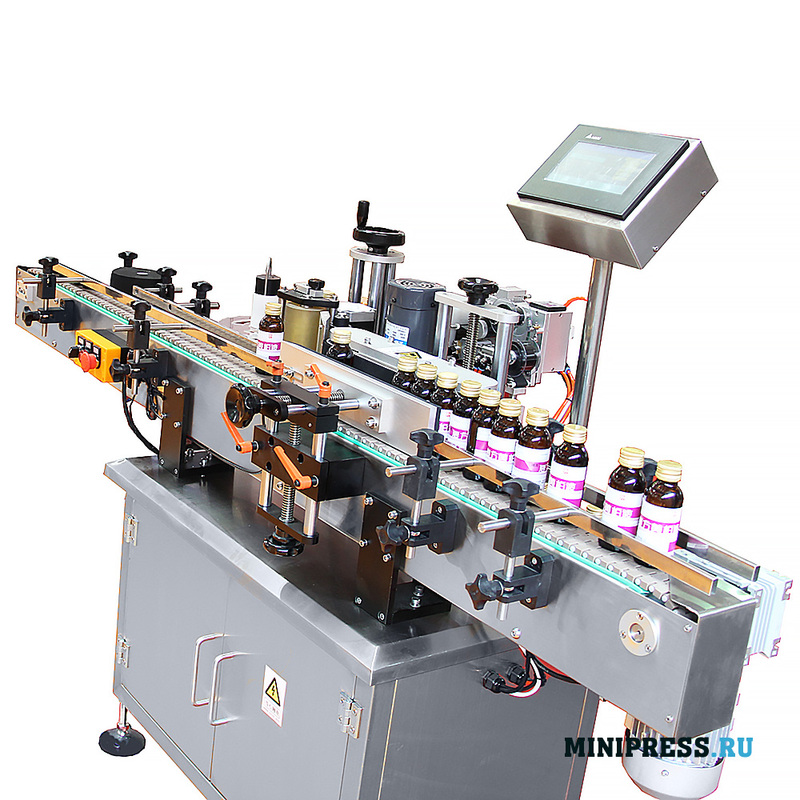 Economical and easy to operate the machine is used in the pharmaceutical, cosmetic and food industries for labeling drugs, cosmetics and beverages. 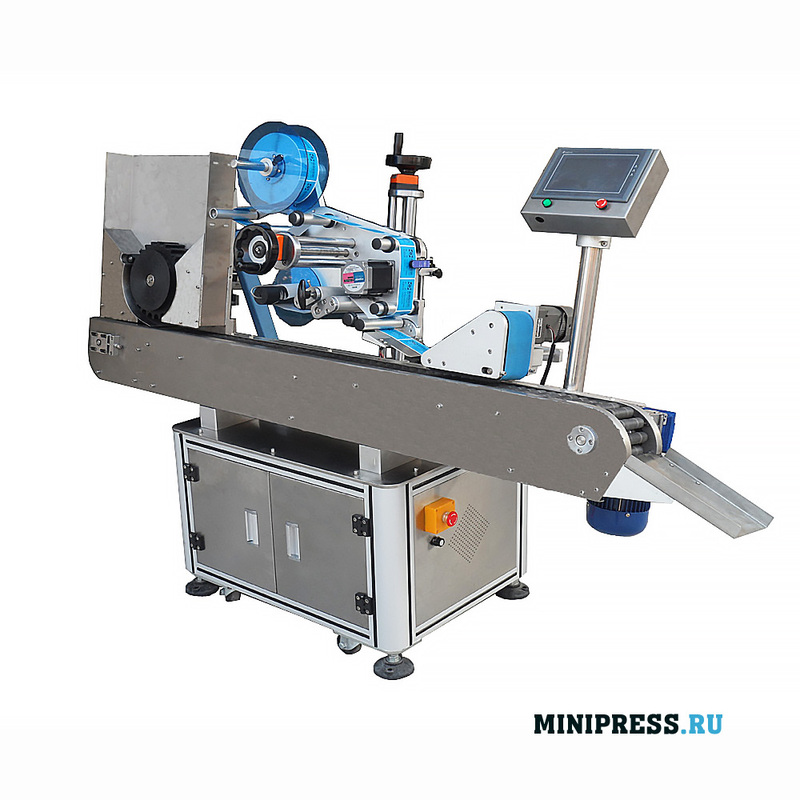 Productivity of 120 labels per minute. Weight 300 kg. 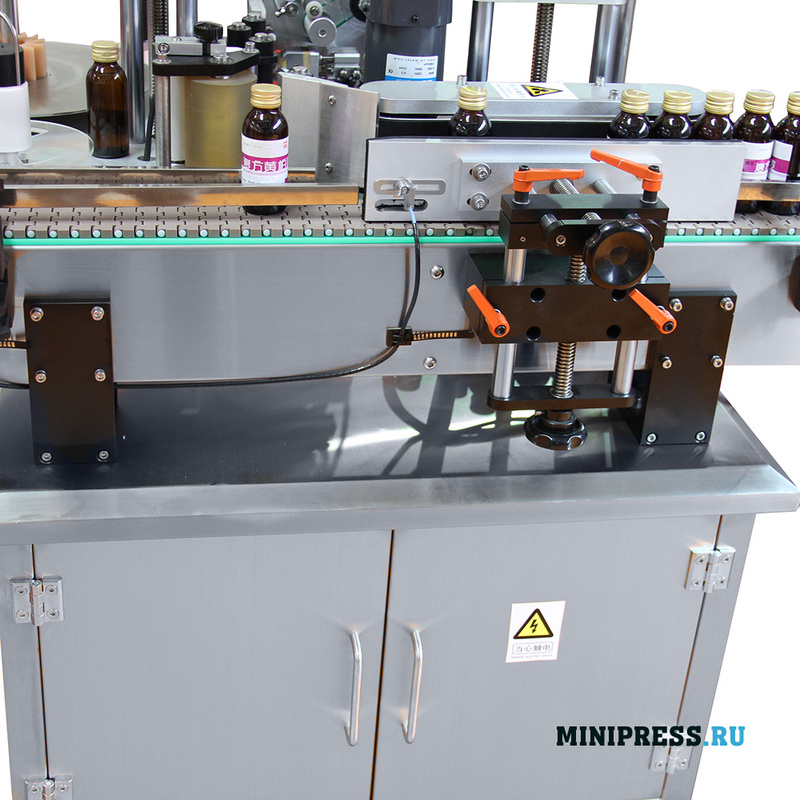 Labeling machine is designed for circular labeling on glass ampoules and penicillin bottles for installation in the filling and sealing line of ampoules. 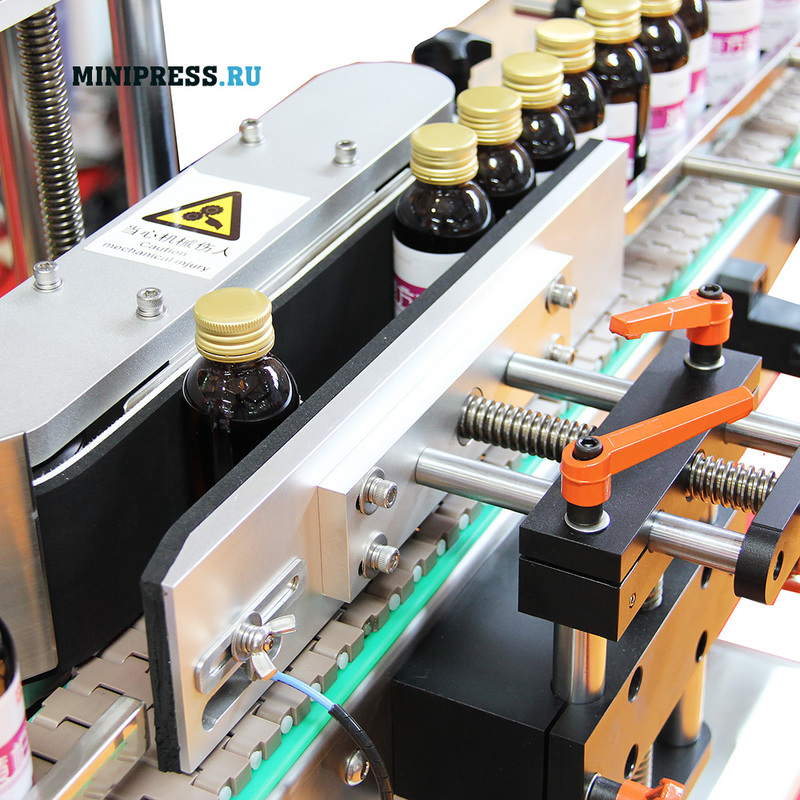 Automatic labeling machine for gluing self-adhesive labels on glass ampoules and vials. 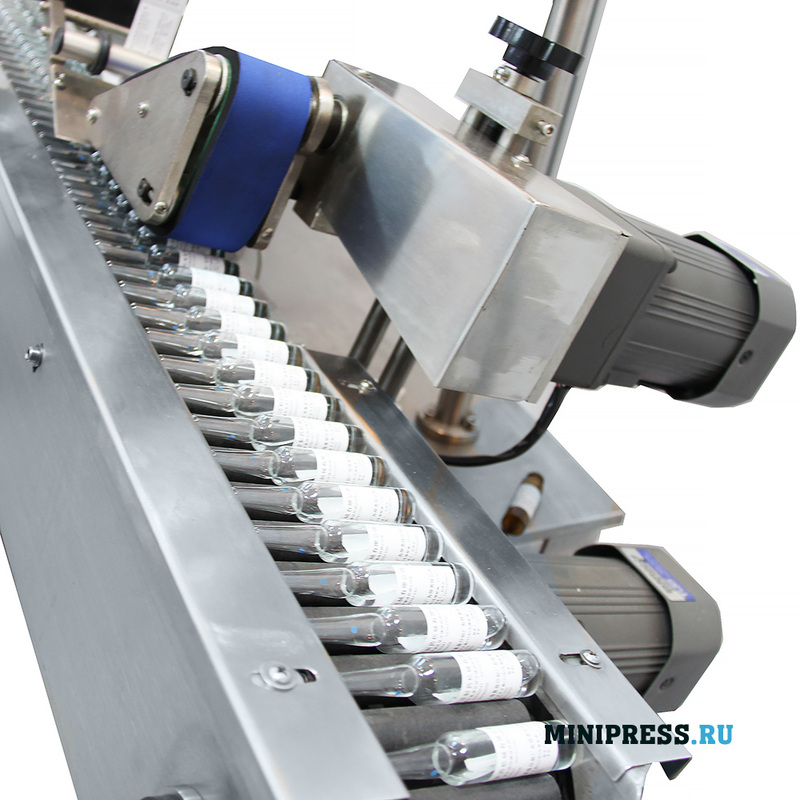 Economical and easy to operate the machine is used in the pharmaceutical, cosmetic and food industries for labeling drugs, cosmetics. 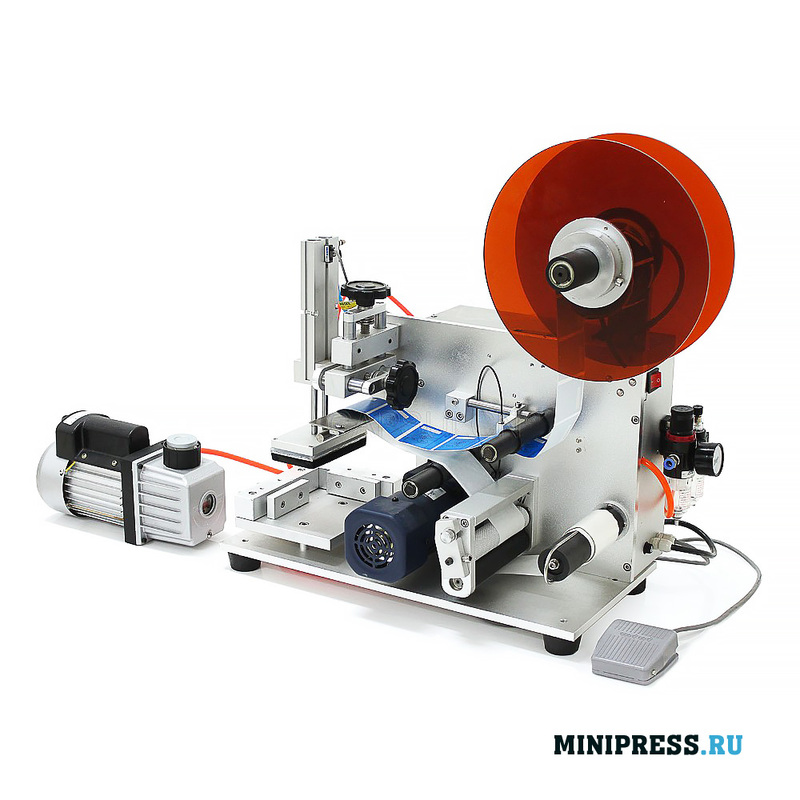 Productivity 100 labels per minute. Weight 200 kg. 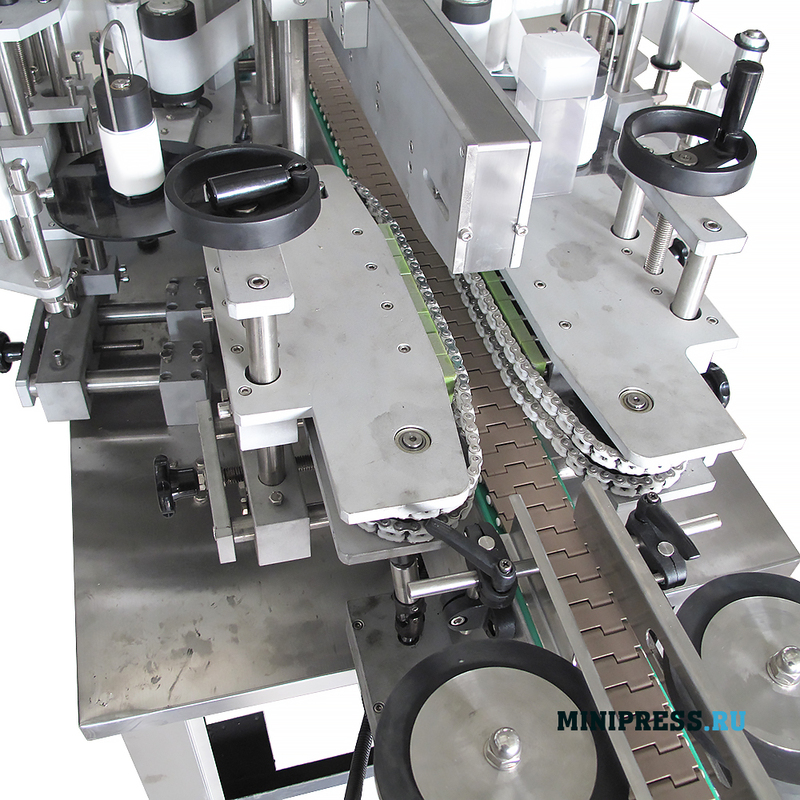 Automatic labeling machine for sticking on both sides of self-adhesive labels on flat and square bottles and bottles. 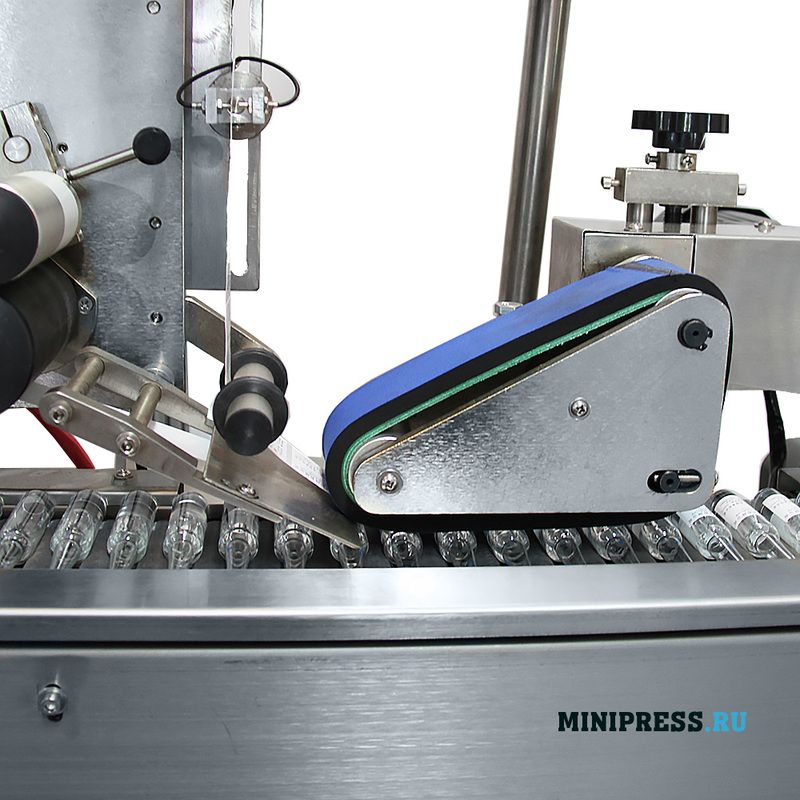 Labeling machine is designed for double-sided labeling of all kinds of glass and plastic bottles, jars, bottles, cans. 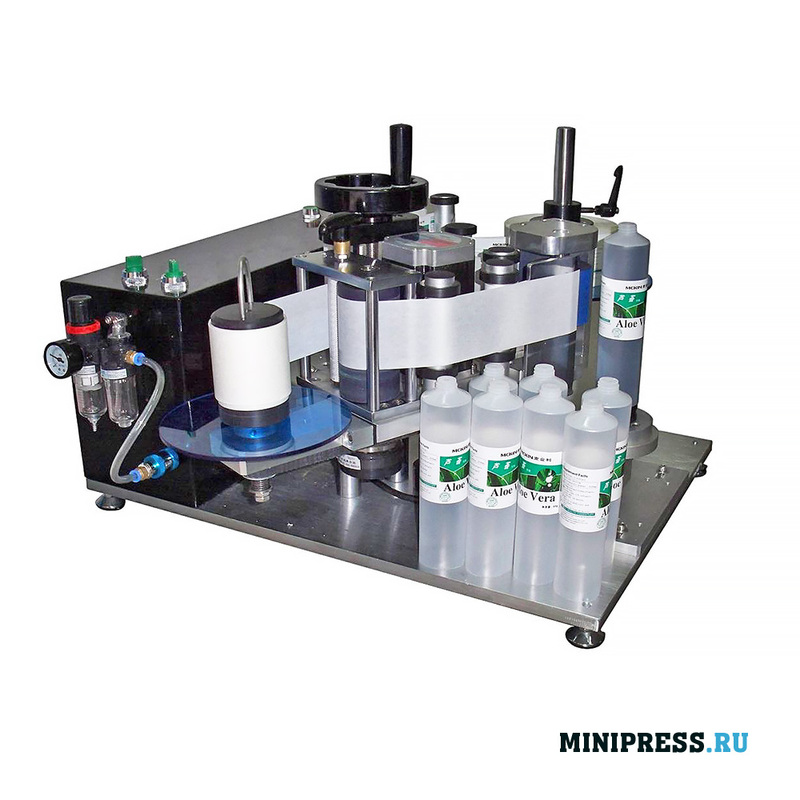 Weight-450 kg. 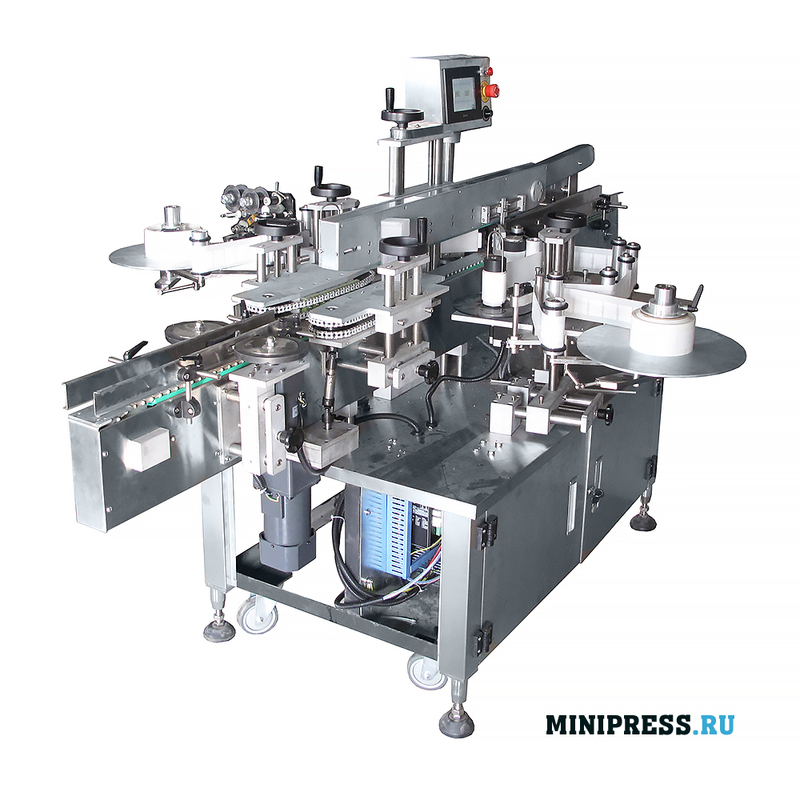 Economical and easy to operate machine is used in the medical and food industry for labeling beverages, in the chemical industry, electronics and other industries. 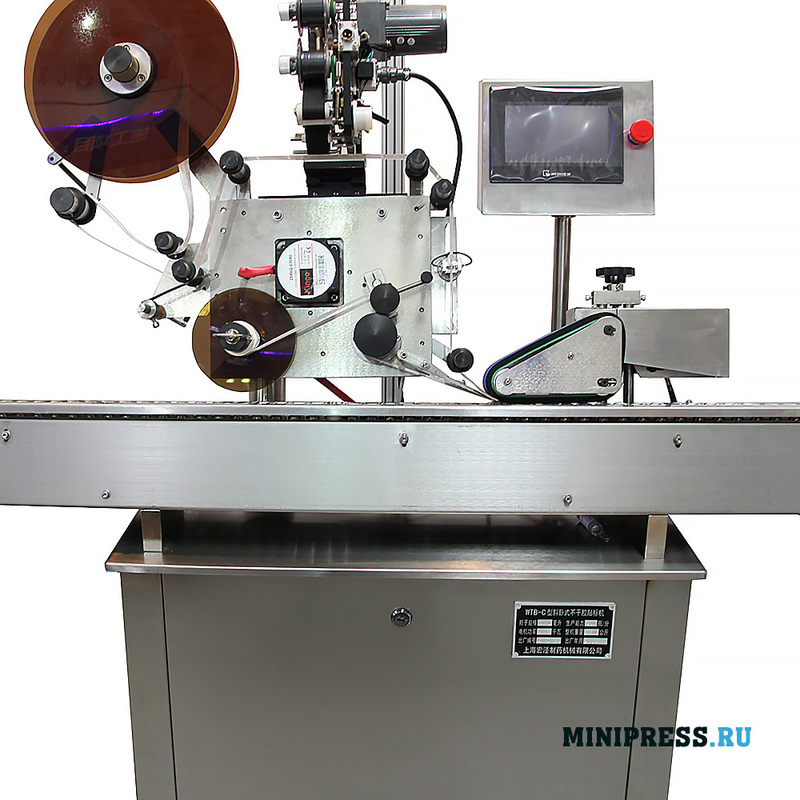 Productivity- 50-100 labels per minute.